Brookfield, Conn. company to be official lubricant supplier for the Black Bandit. SCOTTS VALLEY, Calif. – Feb. 15, 2012 – It’s often been said that it requires a great team to achieve great success. Partnerships represent a crucial element of any racing organization. They insure that a team can operate as a well-oiled machine during a grueling racing season. 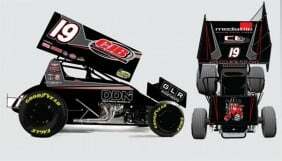 As CL Motorsports gears up for the 2012 season, the Holmesville, Ohio based team is proud to announce a new partnership with Spectro Oils of America. Spectro Oils of America operates as a division of Intercontinental Lubricants Corporation, a Brookfield, Conn. company. Founded in 1966 by Robert H. Wehman, the company was able to take advantage of the growing motorcycle market as new makes and models arrived in the marketplace. Spectro Oils of America developed a strong reputation among riders because of increased performance along with unmatched reliability. Today, Spectro Oils of America offers a full line of synthetic lubricants for two and four stroke engines in addition to specialty blending, customized racing formulas and providing technical assistance. Someone who knows the capabilities of Specto Oils of America and their products is the driver of the #19 CJB Motorsports/DDNi/MediaTile KPC, Stevie Smith. Spectro Oils of America will be featured on the “crowd panel” of the #19 KPC as well as team uniforms and Smith’s driving suit. For more information about Spectro Oils of America, please visit www.Spectro-Oils.com. For more information about the Black Bandit and CL Motorsports, please visit www.TheBlackBandit.com.